No time to buy a host or hostess gift? Recycle! 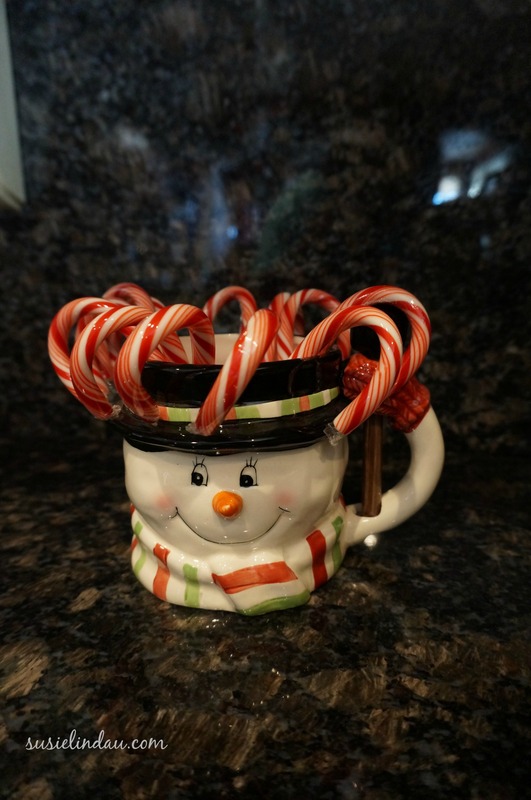 Fill all those holiday mugs you’ve received over the years with your leftover Halloween candy. Everyone loves Snickers bars. Don’t judge me. The candy canes are from last year. I ate all the Snickers bars. No time to write for your blog? Post office party photos. Make up funny captions like, “Bob always peeks into the secret Santa gifts and slips his name on the best one.” Then cross-post it on Facebook. Watch your Klout score soar! Don’t forget to tag your boss, Bob. Buy presents and groceries online and have them delivered. Your family will appreciate having something to eat even if you go heavy on frozen French fries. Just make sure to order ketchup. No time to bake cookies with the kids? Run in place while wrapping presents. Just be careful with the scissors. You don’t have time to go to the emergency room. No time to decorate inside your home? Light candles. No one will notice as your guests bump around your house. No time to take a family photo for your holiday card? Go green! Recycle last year’s card. No one will notice. No time to buy a tree? Cut down that seedling that grew over the summer. That’s what we’re doing! No time to decorate a tree? Order tinsel online and throw it over the boughs. You could make Tinsel Tossing a new family tradition! No time to put up outdoor Christmas lights? Replace your outdoor entry lights with red bulbs and call it a day. I’m addicted to decorating, shopping, cooking, baking, blogging and writing. I’ll sleep in January. Wait! I forgot about making my Christmas card. Where’s that tinsel? How do you save time during the holidays? Guess What’s Spinning Out of Control – A Contest! I let the wife do the heavy lifting during the holidays, thus ensuring myself plenty of time to blog. Kidding! She’d kill me! She would!!! Danny is going to help me cut and paste my card tonight!! Too good, Susie. Lots of great LOL moments and that’s the best gift of all! Thanks! FROZEN???!!! 🙂 Matty 🙂 No really, those eggos will keep ya goin- Happy Holidays! Those “cookies” are actually pretty good! But I cut out my home made waffles. 🙂 Thanks for stopping by Matty! Tree being bought tomorrow and tinsel will be tossed like a good ‘un! So very glad to hear that Jim! 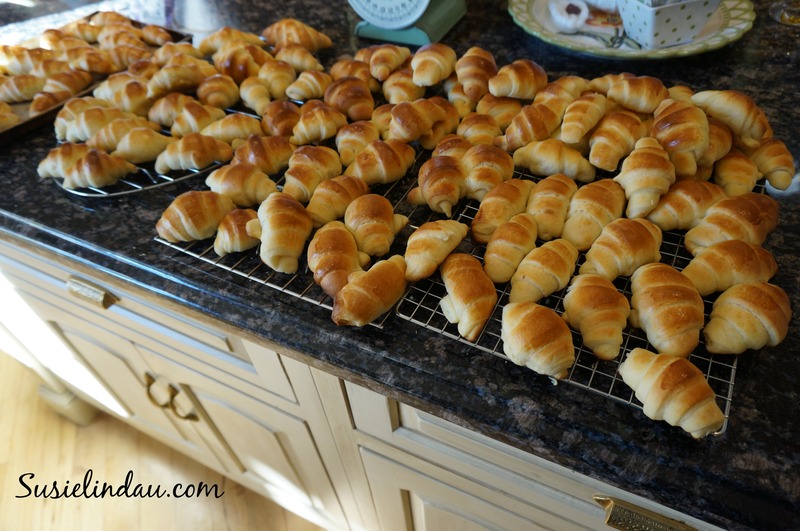 How do I get my grubby mitts on those croissants, because they look AMAZING! Also, I am making waffle cookies for breakfast every day for the rest of holiday season. Just to keep things festive, and totally not because I love breakfast cookies. I made a mistake while making those croissants this year and didn’t put in enough yeast and doubled the eggs. They were the best ever! I should share the recipe since it’s my own happy mistake! Please, please share it! I feel like my days of baking Trader Joe’s pre-made croissants are about to be over. Great to “see” you Barry! Thanks so much for thinking of me! The girls are defying gravity quite well thank you! 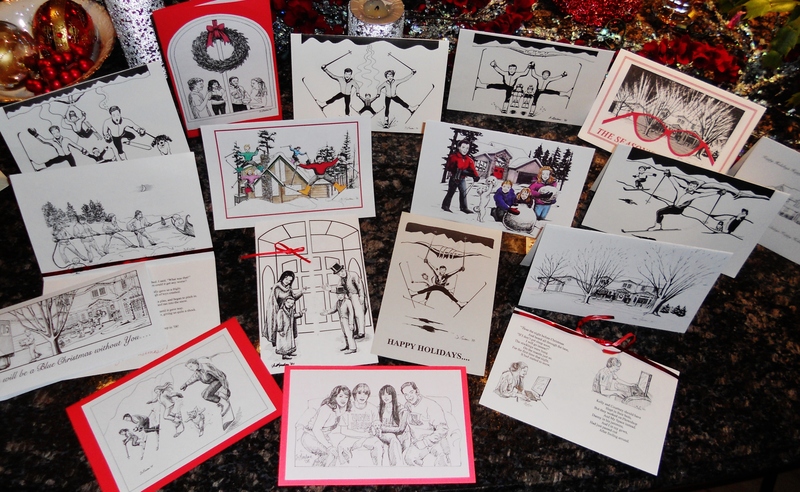 I just finished my handmade Christmas cards and am looking forward to doing a little shopping. It was below zero last week and we were without heat, but all’s well now! It’s no fun if it’s not frantic! 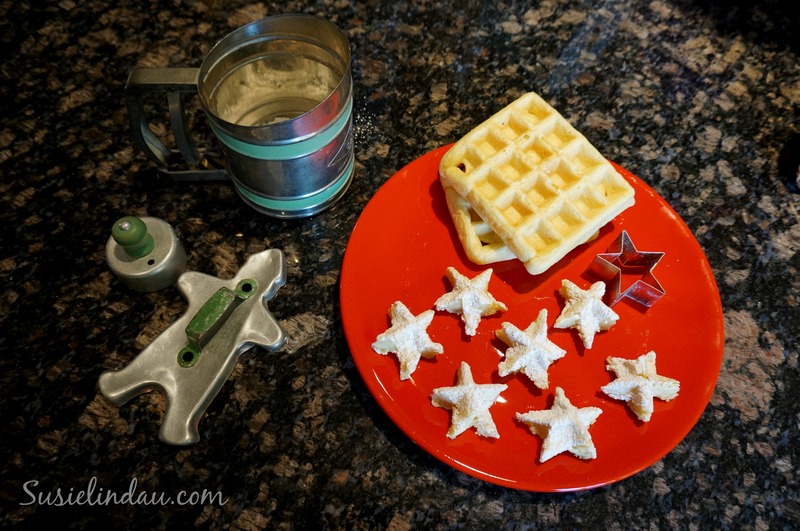 Star waffles – best idea ever. Oh, we have some old peeps left….They can be ornaments? Christmas geese…that 12 Days thing…. Oh PERFECT!!! I will save some peeps for next year’s tree!! The you go. You deserve it!!!! I can’t believe I have turned the calendar page!! WHAT! Trying to get a few things done in the evenings after work. Hostess gift wise I have often bought pretty napkins off and on all year and have on hand. Happy Pulling it together my friend. Oh and keeping it together.